The versatility of chard as a baby leaf brings colour and flavour to salads, mature stems have an improved flavour, great texture and can be steamed or stir-fried. Our breeders are developing varieties with different coloured petioles. A full range of varieties and colours are now available. 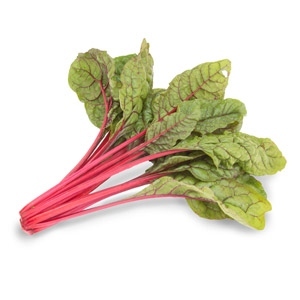 Rounder leaf than standard Rhubarb Chard with intense red veining, as with Elite this variety has far fewer green ‘off-types’ than the standard. Mainly grown for baby leaf production, similar to Elite at baby leaf stage but as it matures Intense has a slightly lighter red leaf. Good upright habit and uniformity. 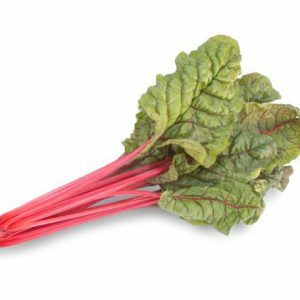 Rounder leaf than standard Rhubarb Chard with intense red veining, as with Intense this variety has far fewer green ‘off-types’ than the standard. Mainly grown for baby leaf production, similar to Intense at baby leaf stage but as it matures Elite has a slightly darker red leaf. Good upright habit and uniformity.